In fact, she may even be in a pack of her own. Her ability to infuse her quirky personality into what would otherwise be considered serious menswear pieces has made her an editorial dream since she presented her first collection in 2013. However, in these three short years, the designer has expanded her repertoire tremendously, and as a result, her loyal following as well. 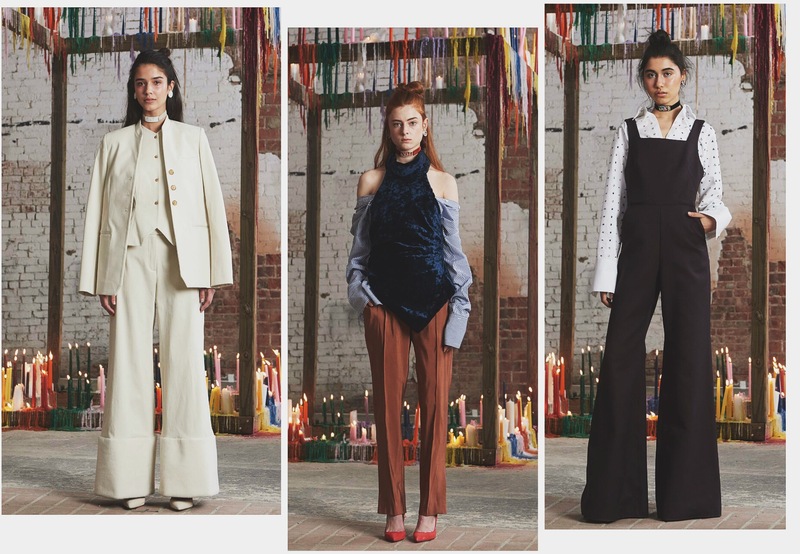 This season, Assoulin teetered between grunge and a 70’s aesthetic, while also borrowing a few ideas from the Victorian era. Embellished chokers were carefully paired with each look, while high waists, exaggerated silhouettes, and touches of velvet and leather anchored the collection. One may ask how a group of designs that run such a vast gambit could still have cohesion? Well, this can be answered by the designer’s keen sense of humor, and the carefree attitude that can be so easily found in each piece that she constructed- the baby blue drawstring jumpsuit being one obviously satirical look that comes to mind. However, there were also several serious moments in Assoulin’s fall 2016 collection. Her silk and organza cream-colored gown is red carpet-worthy, and several of her other creations are truly so innovative that you have to wonder if her ideas come to her in some fanciful dream. And if dreams are made of oversized sleeves and rambunctious ruffles, I can’t imagine wanting to wake up anytime soon. Can you?